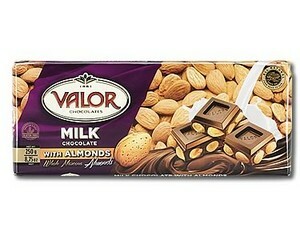 Valor Milk Chocolate with Almonds is an exquisite mix of high quality milk chocolate and almonds, as you would expect from a superior maker like Spain's Valor. The combination of Spain's top quality Marcona almonds, which are plumper and more juicy, are toasted for a superior flavour and the high quality milk chocolate, give a perfect balance of strength and flavours. This is for people that enjoy supreme quality! Ingredients: Sugar, almonds (25%), cocoa butter, cocoa mass, milk powder (10%), whey powder (milk), emulsifier: soya lecithin, flavouring. Cocoa solids 37% minimum. 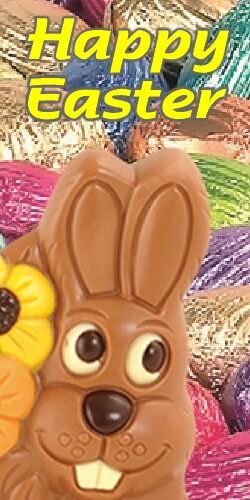 May contain traces of hazelnuts.